Building infrastructure, configuring servers and deploying software has been a manual task for many years. With the rise of cloud computing, virtual machines, containers and CI/CD processes we see more and more that those manual tasks are being diminished and fully automated. When building your infrastructure in the Oracle Cloud you can make use of a wide set of automation tools to make everything software defined and automated. Solutions like Ansible and Terraform provide some of the building blocks which can help you automate all the previously manual tasks. Ensuring you leverage solutions like this will increase speed and agility supported by Cloud computing. In this serie "Oracle Linux & Cloud Automation" we will go into more detail on how several solutions you can leverage to automate large parts of your IT footprint lifecycle. Please use the tagged label to find all posts on this subject. Ansible is an open-source software provisioning, configuration management, and application deployment tool. It runs on many Unix-like systems, and can configure both Unix-like systems as well as Microsoft Windows. It includes its own declarative language to describe system configuration. Ansible has the easy possibility to install (remove or update) packages using yum. As a good practice you should clean your yum data from cached data so it is not taking any unneeded space on your local file system. Ansible is providing a module as a wrapper around the yum command, this means that you can use Ansible instead of directly interact with the yum command itself. Missing from the module is a command to clean the cache. You can do so by putting the following in the Ansible playbook. # clean all the yuym data. The reason for the warning is that Ansible expects that all yum related commands are being done via the yum module and not the command module. As the yum module is missing the "clean all" option we have to do this via the command module and use the full command. The below playbook is tested on an Oracle Linux 7 instance with Ansible 2.7.7. Do also note that you have "changed=1" always. This is due to the fact that you always run the yum clean all. Even though this is not a config change on your system it is detected as a change. Technically it is a change as you clean the yum data, even in the cases that you do not download a package you still clean the meta-data. Even though no native support for the clean is available in the Ansible yum module you can ensure that your system is not holding unnecessary data on the filesystem as shown in the example above. Dash is a Python framework for building analytical web applications. It can be used to very quickly develop small applications capable of running small analytical visualizations. As it is developers in Python you have a natural fit with solutions like Panda and the like. When getting started with Dash, developed by Plotly, you might run into the following question; how do I change the favicon to show the one I want and not the one shipped by default. The answer is, stop trying to code the solution. The only way (currently) is to create a directory named assets in the root of your project and add the desired favicon in to this location. This should result in the desired favicon showing. Within machine learning we place clustering under unsupervised learning, clustering is used for example in recommendation systems, targeted marketing and customer segmentation. 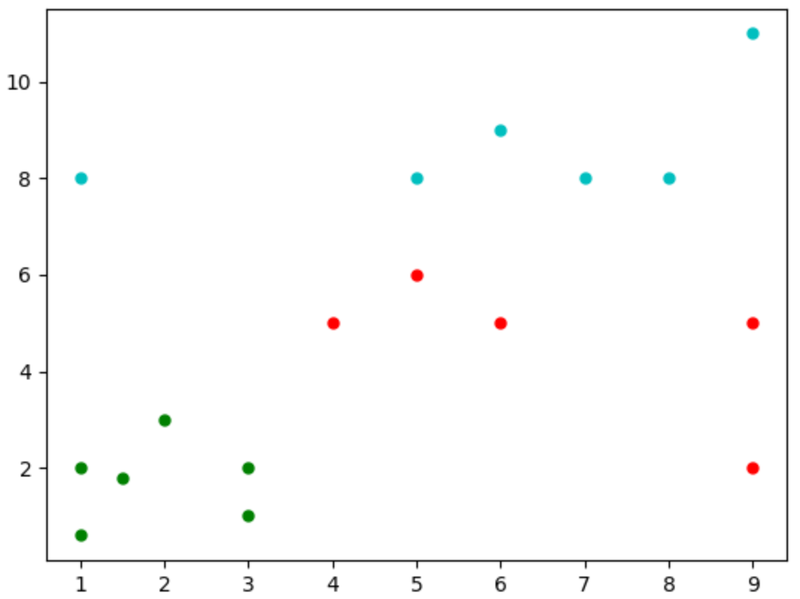 The below outline is a simple starting point showing a basic form of clustering on a relatively small dataset. 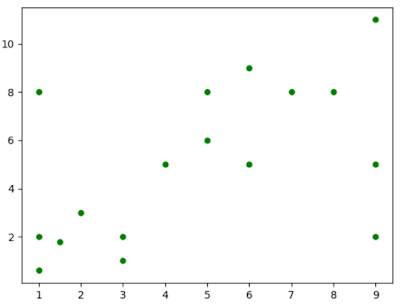 The dataset we will use is displayed in the scatter chart below. 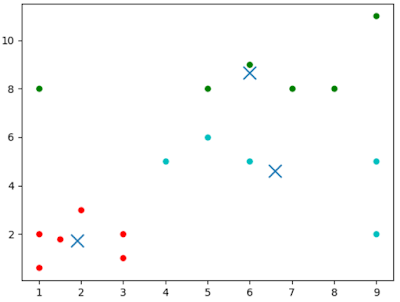 The objective we have is to determine 3 clusters in the data shown in scatter chart. 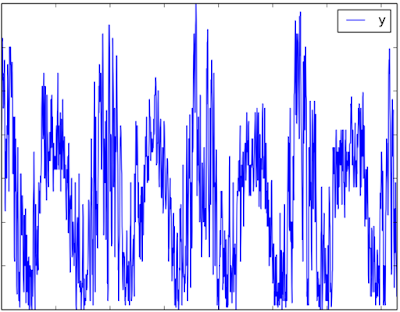 In this example case the data is just random data, the data can however represent virtually everything. The data could for example be customers, demographic data, sensor data-points or anything else. If you look at the data humans are by default driven by Apophenia to try and see patterns. Apophenia has come to imply a universal human tendency to seek patterns in random information, such as gambling. However, even though the human mind will try to see a pattern this is far from correct in many cases. To make a true valid clustering we will need to actually base the clustering on math and not the feeling of the human mind. By leveraging Python code we can devide the data into 3 distinct clusters, the found clusters are shown below in different colors. The result is that after the updates yuu will end up with (in our case) 3 centroids and the datapoint which is assoicated with this centroid based upon the most optimal (smallest) distance to the centroid. 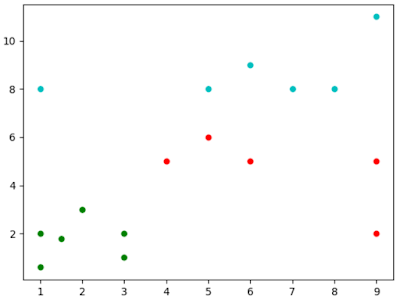 The above scatter chart shows the centroids which form the backbone of the clustering. 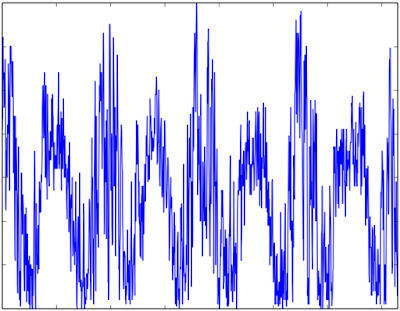 Normallyt hey will be hidden as they do not form an actual datapoint from the dataset. As you can see we have now 3 clusters from the bigger dataset. 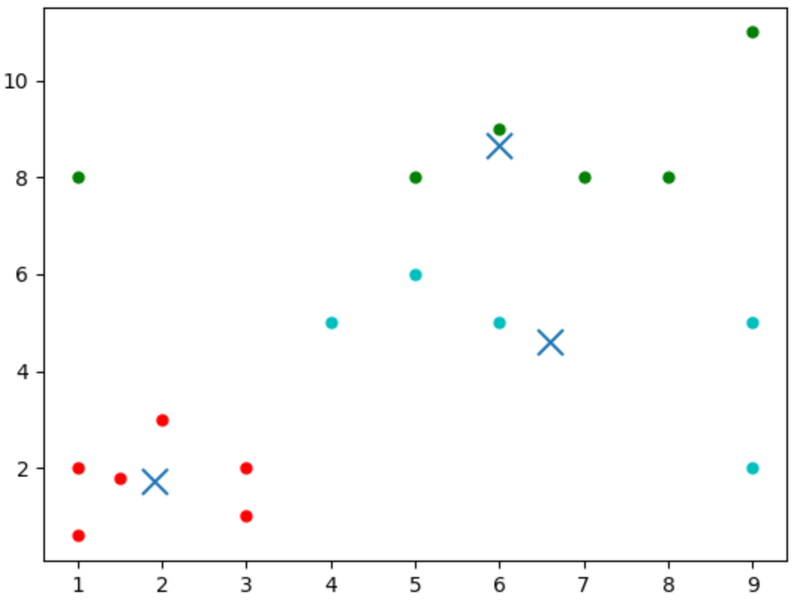 Examples of clustering can be found on my Github project containing machine learning examples. For those developing solutions that should run under Kubernetes, running a local version of Kubernetes leveraging Minikube can make your life much more easy. One of the question some people do have is how to ensure they can make use of the Kubernetes Web UI. Running the Kubernetes Web UI while working with Minikube is relatively easy and you can start the Web UI with a single command of the minikube CLI. The below command showcases how to start the Web UI and also have your local browser open automatically to guide you to the correct URL. As you can see from the above example the only command needed is 'minikube dashboard'. The above screenshot shows you the Kubernetes Web UI in the browser as started by the minikube command. When working with Pandas the most common know way to get data into a pandas Dataframe is to read a local csv file into the dataframe using a read_csv() operation. In many cases the data which is encapsulated within the csv file originally came from a database. To get from a database to a csv file on a machine where your Python code is running includes running a query, exporting the results to a csv file and transporting the csv file to a location where the Python code can read it and transform it into a pandas DataFrame. When looking a modern systems we see that more and more persistent data stores provide REST APIs to expose data. Oracle has ORDS (Oracle Rest Data Services) which provide an easy way to build REST API endpoint as part of your Oracle Database. 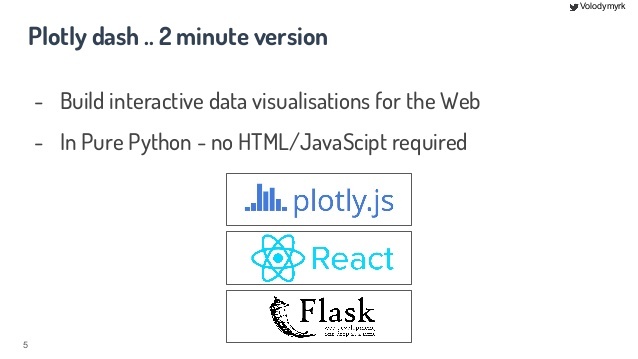 Instead of extracting the data from the database, build a csv file, transport the csv file so you are able to consume it you can also instruct your python code to directly interact with the ORDS REST endpoint and read the JSON file directly. The below JSON structure is an example of a very simple ORDS endpoint response message. From this message we are, in this example, only interested in the items it returns and we do want to have that in our pandas DataFrame. The below code shows how to fetch the data with Python from the ORDS endpoint and normalize the JSON in a way that we will only have the information about items in our dataframe. # load the dict containing the JSON data into a DataFrame by using json_normalized. # show the evidence we received the data from the ORDS endpoint. Interacting with a ORDS endpoint to retrieve the data out of the Oracle Database can be in many cases be much more efficient than taking the more traditional csv route. Options to use a direct connection to the database and use SQL statements will be for another example post. You can see the code used above also in the machine learning examples project on Github. When developing Python code in combiantion with cx_Oracle on a Mac you might run into some issues, especially when configuring your mac for the first time. One of the strange things I encountered was the ORA-24454 error when trying to connect to an Oracle database from my MacBook. ORA-24454 states that the client host name is not set. When looking into the issue it turns out that the combination of the Oracle instant client and cx_Oracle will look into /etc/hosts on a Mac to find the client hostname to use it when initiating the connection from a mac to the database. When set this should ensure you do not longer encounter the cx_Oracle.DatabaseError: ORA-24454: client host name is not set error when running your Python code. Pandas is an open source, BSD-licensed library providing high-performance, easy-to-use data structures and data analysis tools for the Python programming language. When working with data you can load data (from multiple type of sources) into a designated DataFrame which will hold the data for future actions. A DataFrame is a Two-dimensional size-mutable, potentially heterogeneous tabular data structure with labeled axes (rows and columns). In many cases the operations you want to do on data require data from more than one single data source. In those cases you have the option to merge (concatenate, join) multiple DataFrames into a single DataFrame for the operations you intend. In the below example, we merge two sets of data (DataFrames) from the World Bank into a single dataset (DataFrame) in one of the most basic merge manners. For those interested in the datasets, the original data is coming from data.worldbank.org, for this specific example I have modified the way the .csv file is provided originally. You can get the modified .csv files from my machine learning examples project located at github. The example we show is relative simple and is shown in the diagram below, we load two datasets using Pandas read_csv() into their individual DataFrame. When both are loaded we merge the two DataFrames into a single (new) Dataframe using merge(). The below is an outline of the code example, you can get the code example, including the used datasets from my machine learning examples project at github. When developing code, in this specific example python code, one thing you want to make sure is that you do not develop vulnerabilites. Vulnerabilities can be introduced primarily in two ways; you create them or you include them. One way of providing an extra check that you do not include vulnerabilties in your application is making sure you handle the dependency manifest files in the right way. A dependency manifest file makes sure you have all the components your application relies upon are in a central place. One of the advantages is that you can use this file to scan for known security issues in components you depend upon. It is very easy to do an import or include like statement and add additional functionality to your code. However, whatever you include might have a known bug or vulnerability in a specific version. if we look into the content of this file we will notice a structure like the one shown below which lists all the dependencies and the exact version. One of the most simple ways to check for known security issues is checking your code in at github.com. As part of the service provided by Github you will get alerts, based upon dependency manifest file, which dependencies might have a known security issue. The below screenshot shows the result of uploading a Python dependency manifest file to github. As it turns out, somewhere in the chain of dependencies some project still has a old version of a pyOpenSSL included which has a known security vulnerability. The beauty of this approach is you have an direct insight and you can correct this right away. When working with Matplotlib of visualize your data there are situations that you want to show the legend and in some cases you want to hide the legend. Showing or hiding the legend is very simple, as long as you know how to do it, the below example showcases both showing and hiding the legend from your plot. The code used in this example uses pandas and matplotlib to plot the data. The full example of this is part of my machine learning example repository on Github where you can find this specific code and more. The below image shows the plotted data with a legend. Having a legend is in some cases very good, however in some cases it might be very disturbing to your image. Personally I think keeping a plot very clean (without a legend) is the best way of presenting a plot in many cases. 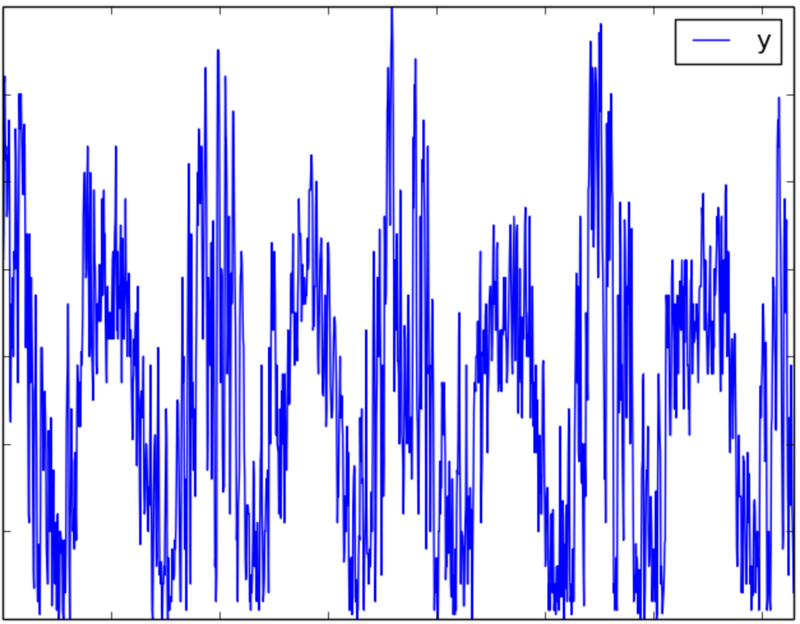 The below image shows the plotted data without a legend. Having a legend is in some cases very good, however in some cases it might be very disturbing to your image. Personally I think keeping a plot very clean (without a legend) is the best way of presenting a plot in many cases. The reason for this error is that Matplotlib is not able to find the correct backend. The most easy way to resolve this in a quick and dirty way is to add the following line to your code. This should remove (in most cases) the error and your code should be able to run correctly. When working with machine learning, and especially when you start learning machine learing one of the first things you will encounter is supervised machine learning and writing decision tree based classifiers. A supervised classifier which will leverage a decission tree to classify an object into a group will base itself on provided and already labled data. The data will (in most cases) consist out of a number of features all describing labled objects in your training data. As an example, provided by Google, we could have a set of objects all havign the label apple or orange. In our case we have mapped apple to the numeric value 0 and orange to the numeric value 1. The features in oour dataset are the weight of the object (it being an apple or an orange) and the type of skin. The skin of the object is either smooth (like that of an apple) or bumpy (like that of an orange). 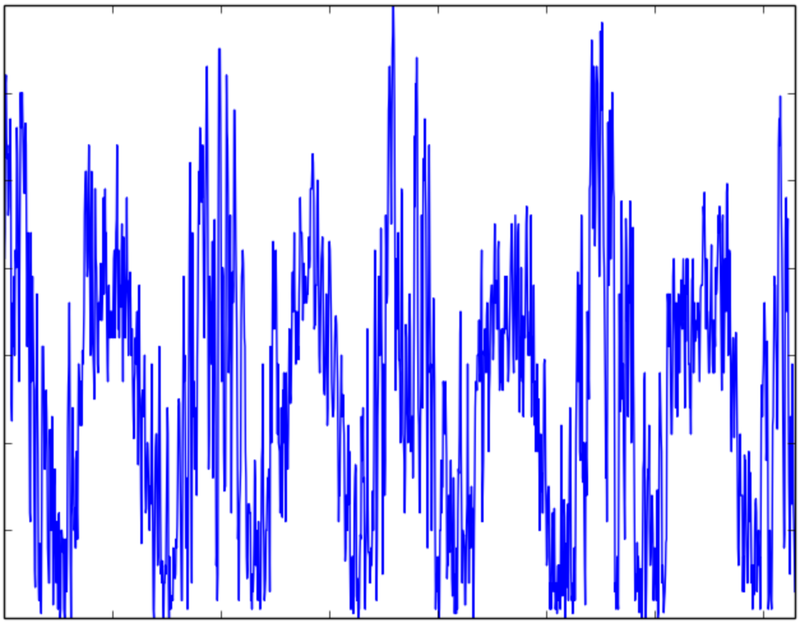 We have mapped bumpy to the value 0 and smooth to the value 1. The below code showcases the implementation and also a prediction for a new object compared to the data we have in the learning data. As you can see in the above example we predict what the object with [150, 0] will be, will it be an apple or an orange. The above example is just a couple of lines and is already a first example of a simple machine learning implementation in Python. The reason it will only take this limited amount of lines is that we can leverage all the work already done by the developers of scikit-learn. You can find the above code example and more examples on my Github project page. [SOLVED] OSError: [Errno 2] "dot" not found in path. 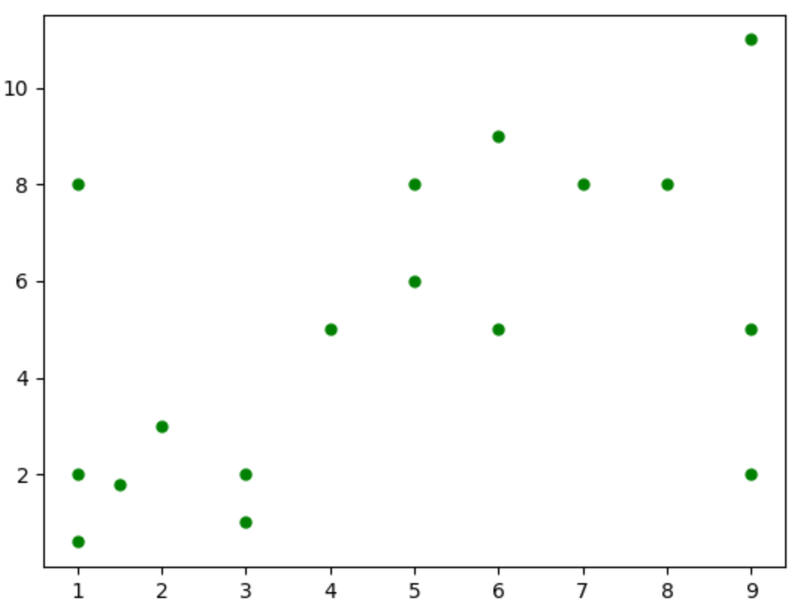 When trying to visualize data using pydot in Python you might run into an error where it is stated that “dot” is not found in the path. This is after you already ensured you installed Pydot and ensured you did an import of Pydot in your python code. The main reason for this is that your python code is unable to find the dot executable. The dot executable comes from the graphviz project. This means that even though you did an install of the Pydot you are still missing a critical component. If we look at the Pydot Pypi page you can see already a hint on this as it will tell you the following; Pydot is an interface to Graphviz and can parse and dump into the DOT language used by Grapgiz. Pydot is written in pure Python. To resolve this is we can use yum to install Graphviz on Linux, in our case we use Oracle Linux. Now, if you run your python code and try something like pydot.graph_from_dot_data to work with dot data and visualize it at a later stage you will see you no longer have the issue you faced in the form of the OSError: [Errno 2] "dot" not found in path error faced before. The below example screenshot displays the same variable used in a data-bind once with a text option and once with a html option. The first is using the text option and due to this the html code for the underline is not rendered. In the second line we use the html option and the underline markup code is rendered and the line is underlined in the view. The below code example is showing the Oracle JET knockoutJS html view code, the code can also be seen as a gist on github. When using Oracle JET for building your application you automatically make use of Knockout.js as this is a vital part of how Oracle JET works. Part of Knockout is the data-bind option. Knockout’s declarative binding system provides a concise and powerful way to link data to the UI. It’s generally easy and obvious to bind to simple data properties or to use a single binding. Understanding data-bind is one of the basic parts you need to grasp to be able to develop an application with Oracle JET. The below example code showcases the view/model, within IncidentsViewModel funtion you can see we assign the value to the variable which has been defined outside of the IncidentsViewModel function. You can view the example code as on GitHub via this Gist link. To ensure we bind the IncidentsViewModel variable IncidentsViewModel defined in the view/model .js file we have to make sure we bind this in the html code of the view. The below example showcases how this binding is done as part of a HTML span using the data-bind option. You can view the example code as on GitHub via this Gist link. In effect, the above example showcases the most basic form of a knockout based Oracle JET binding between the view and the view/model.